The podcast about things that keep interpreters up at night. When preparing the very first live taping of our podcast Troublesome Terps in London, we immediately thought how nice it would be to organise something for local interpreting students, too. Because when you’re already in London for an event, why stop with one? So with the help of course leader of the MA Conference Interpreting Danielle D’Hayer and former student Hugo Menendez we organised a morning session in the interpreting lab. Danielle and her students were kind enough to collect some questions in advance, so that we could prepare a little bit. On the day, the two Alexes went down to the Moorgate Campus for this ask-us-anything session. Alas, the most troublesome terp of all, Jonathan Downie, couldn’t make it due to troublesome travel turbulences. When we arrived at the interpreting lab, we were stunned to see the impressive technical equipment that Danielle manages. Not to be outdone, we started setting up our recording equipment - audio mixer, cables, stands, microphones and all - for two purposes. To record the session and make it available to those unable to attend and also to do a little dry-run for our live taping later in the day. For those who are interested in nerdy details: We used an audio mixer connected to a computer with a total of three microphones, one for each podcaster and one to pass around for questions and comments from Danielle and the students. (We did not however, set up video cameras, unlike for the afternoon event at the pub.) Our hosts even went to the trouble of preparing tea and biscuits for all attendees! The questions submitted by students beforehand - over 15 in total - covered a wide range of topics: from advice on stress management (good preparation, breathing techniques), what to do if you don’t receive any preparation material in advance (get used to it, deal with it and engage in proactive research based on any information you might have on the event, such as an agenda or the event website), to what kind of speakers are the most difficult to interpret (slow ones), if we are going to be completely replaced by machines in the future (not anytime soon) or what our career goals were in a flat-hierarchy profession as interpreting (joining professional associations can be a good milestone; besides that, set your own goals of what you want to achieve, like side projects or training). The discussion was very lively and interesting and Alex and Alex enjoyed it very much. 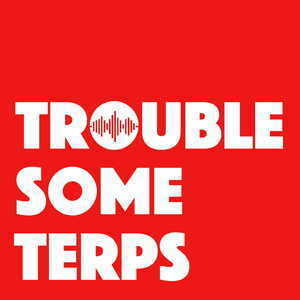 If you’re interested in listening the almost two hours of back and forth, you’ll be glad to know that the recording will be published in our regular podcast feed on www.troubleterps.com on 10 December.